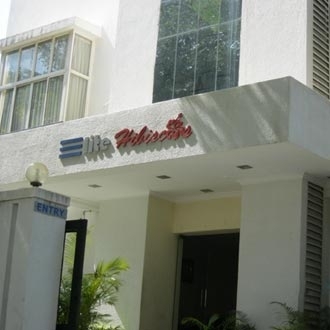 This smoke-free hotel at Bangalore is located close to the BDA Complex Koramangala and Forum shopping mall. There are 25 deluxe guestrooms across its three floors. The in-house restaurant serves multi-cuisine platter to its guests. Corporate travelers can hold a business meeting in the boardroom, which can accommodate a gathering of eight people. There is also a business center with Internet access. A health club and spa services are available for the recreation of the guests.